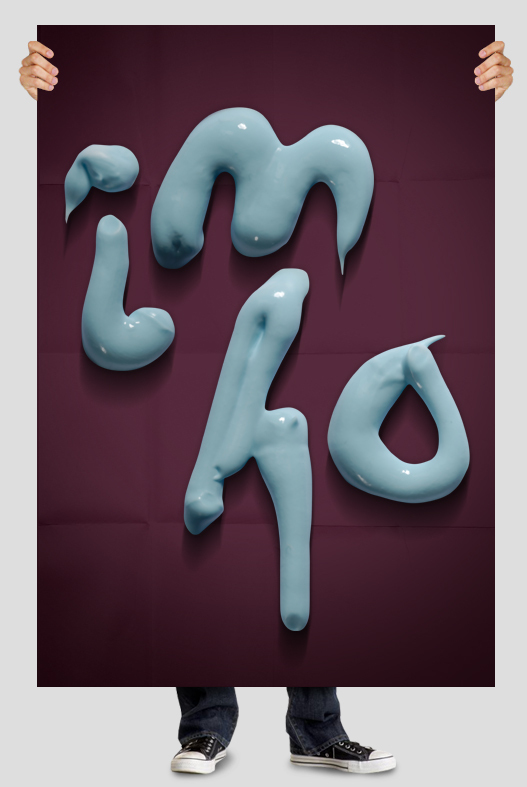 Month ago we represented you unusual fonts made from various stuff. This time we want to show beautiful fonts created in graphic redactors. Estonian design company HandMadeFont (HMF) specialize in developing unique, untraditional fonts. Their designers take inspiration from everything around. Interesting ideas and high-quality execution are distinctive features of these fonts. Some of their works have been published among various magazines and journals. All these fonts are availiable for purchase on company website. The fonts that have been devised are all extremely imaginative. They have been created by the use of everyday commodities such as ice, acrylic paint and ice-cream. Is there somewhere that offers these fonts to schools? where can i purchase these fonts? These are VERY nice. I especially enjoyed the Ice Ice baby one. Well, actually those are not fonts but experiments with typography. They cannot be made into fonts since they are clearly not vector graphics based. I stopped using fonts, back when "Castillar" and "Visitation" became the default fonts for everything commercial.Ahhh, I wish Digg had mod points. I would get so many right now. PS Google them. You will see. candy shop is my fav! I love these! I really like the pipe and fuzzy ones. Great job. My god. These are the most beautiful presentations I have ever seen. where can you download these sets?